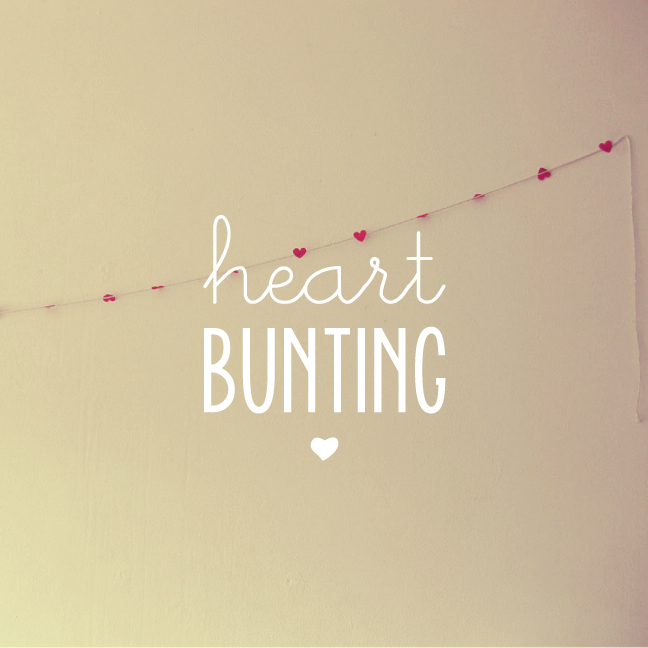 Heart Bunting, make as long as you want! 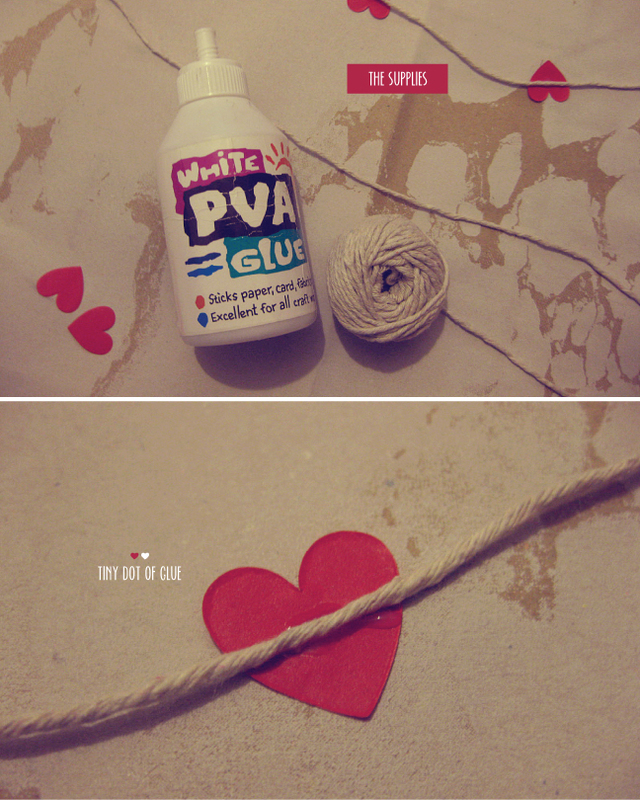 Place a small drop of glue in the center of the paper heart. Make sure you get a glue that dries clear. 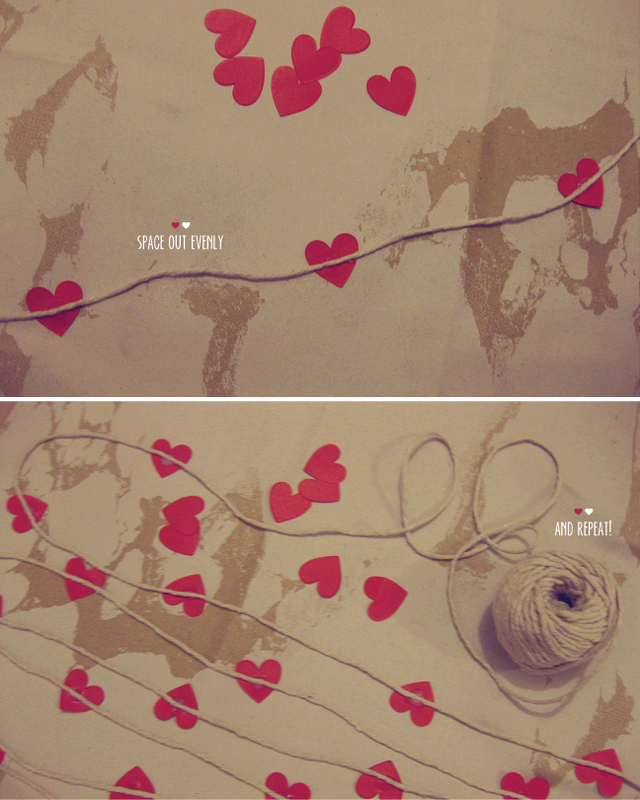 Center the twine in the middle of the heart and glue spot, lightly pressing down to make sure it sticks well. 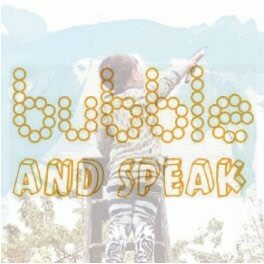 Repeat as spaced out as desired. I eyeballed mine about 3" apart but feel free to play around with spacing. You can even measure it out or create a pattern... it's that easy!